I don't do this every time one of my favourite people passes away - maybe I should - but in this case it's certainly relevant to these pages. 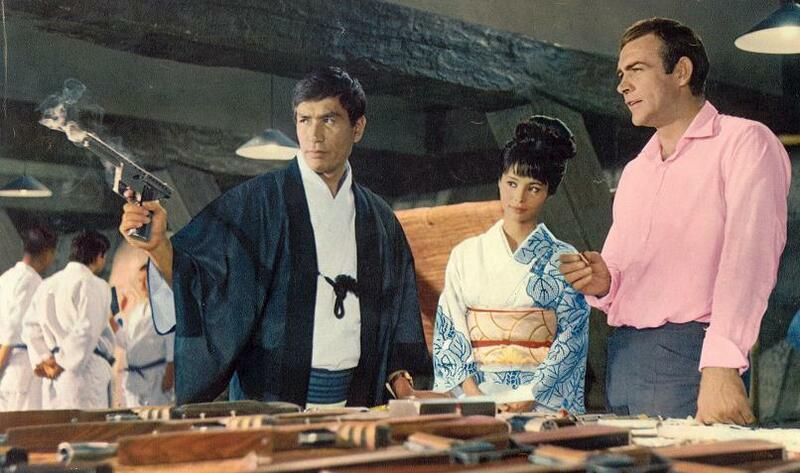 Japanese actor Tetsuro Tamba passed on September 24th. I just learnt the news on TwitchFilm. I saw the fifth James Bond epic You Only Live Twice on the big screen before I was ten. It was my first glimpse of Japan, and of Tetsuro Tamba. As far as I knew then, Tiger Tanaka was M's equivalent, the head of the Japanese Secret Service and he did have his own private monorail under Tokyo, and he did have a castle just for training an undercover ninja army and he did have a helicopter with an underslung electro-magnet specifically for picking up baddies' cars from the roads for dumping them into Tokyo Bay. Of course I was impressed, and always assumed he was a very important actor. Indeed, recently I learnt that the role was originally turned down by no less than Toshiro Mifune, before Tamba got the role. It was only by getting into Japanese films recently that I also discovered that, forty years later, Tamba was still working, when I saw him in the wonderful Sakuya, Slayer of Demons. Indeed, his last film The Submersion of Japan has only just been released in Japan, and I've yet to see it. If you're a fan of samurai movies or Yakuza thrillers or even Happiness of the Katakuris, chances are you already know his work. Some online obituaries have said that Tetsuro Tamba, (sometimes credited with the spelling Tanba) appeared in over 300 films, and I don't doubt it. I just wonder how many of them we'll get to see. Unfortunately for us, he only lived once.